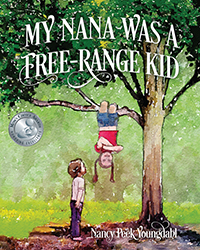 Nancy Peek Youngdahl’s “My Nana Was A Free-Range Kid.” Children were allowed to run free, play outside, and use their imaginations — without parents constantly hovering over them and fearing for their safety during the 1940s and ’50s. With very little traffic and neighbors who actually knew each other, Nana was no exception to the free-range kid phenomenon. It was a glorious time to be a child! Follow Nana’s adventures in her exciting and mischievous childhood. Next Next post: Master the Market with the Indispensable Marketing Calendar!